Is that a cauldron or a cup? 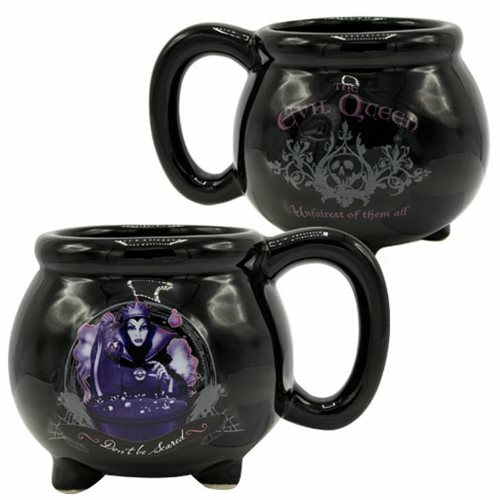 No matter, because this Snow White The Evil Queen Black Kettle 3D Sculpted Ceramic Mug in magnificent! One side features evil Queen Grimhilde and the words "Don't be Scared," while the other side states "The Evil Queen" and "Unfairest of them all." Hand wash only. Not dishwasher safe. Do not microwave.